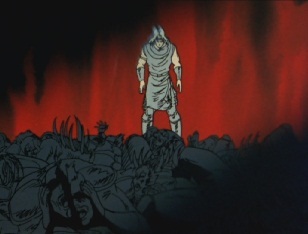 If Toki really has turned evil, Kenshiro must kill him or he will use his Hokuto Shinken to rule the world. 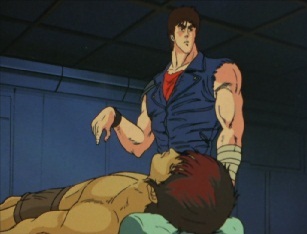 Habu calls him an idiot for wanting to find Toki as that is exactly what Toki wants: to capture Kenshiro to perform experiments on him. 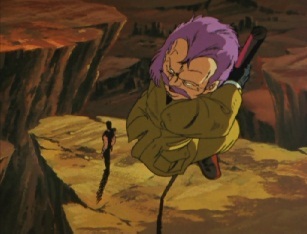 Ken makes Habu crash into the ground, but he then picks him up again and heads toward Toki's location. 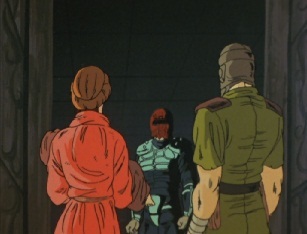 Although he advises Habu to keep his mouth shut. 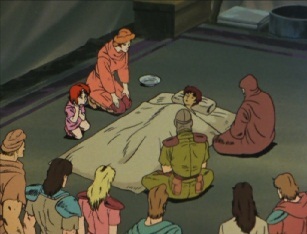 Meanwhile, there has been a disaster with the merchants: Yuu has fallen very ill and nobody seems able to cure him. 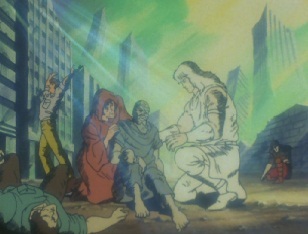 One guy steps forward saying that he has heard of a place known as the village of miracles and that a man there, Toki, can cure anyone who is ill just by touching them. 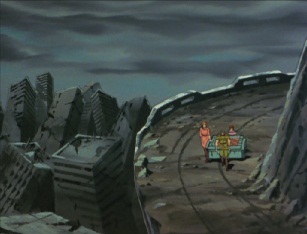 Yuu's parents decide to take their son to this village to try and save him. 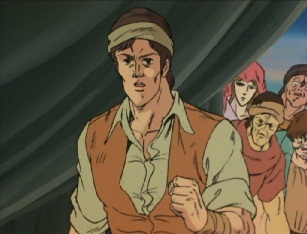 Lin tags along because she remembers Rei telling her about Toki, and maybe Ken will be there. 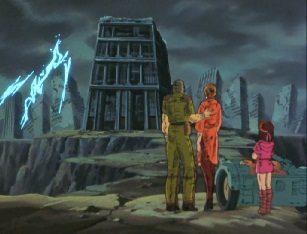 They soon arrive in the village and see a very large building which is where this Toki is meant to be. 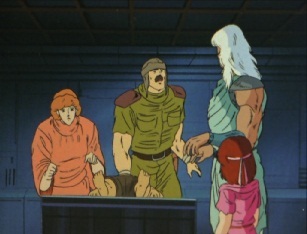 After banging on the door it opens up, and a guard appears to take them to Lord Toki. 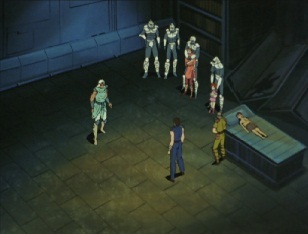 Before they go in, Lin gets Pel to wait outside. 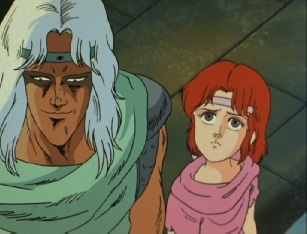 When the three meet Toki, the parents get down on their knees and beg for him to save their son, but he wants something in return for it. They tell him that he can have whatever he wants from them and after checking that they are serious with this offer, he agrees to help. 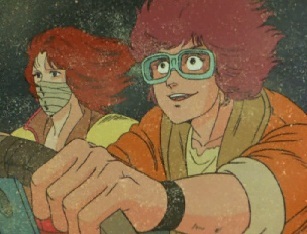 Nearby, a couple of Toki's troops are out on patrol on their bikes when they come across Habu been carried by some guy in blue. 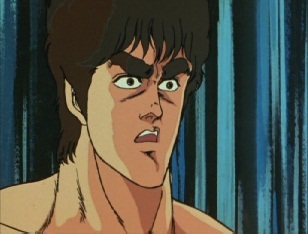 Kenshiro wastes no time in killing them both and then finally sees Toki's HQ ahead of him. 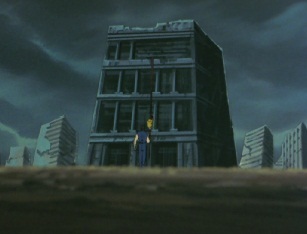 He walks towards it. 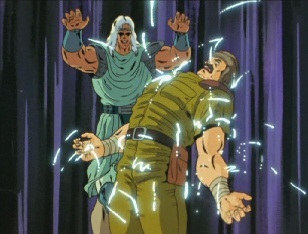 Toki begins his healing technique on Yuu. 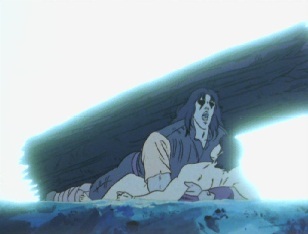 Yuu is soon in a lot of pain, but Toki then finishes. 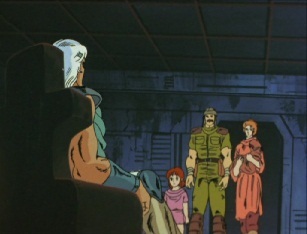 The parents and Lin are concerned, but Toki tells them that everything is alright and Yuu will wake up and be fine is 3 hours time. 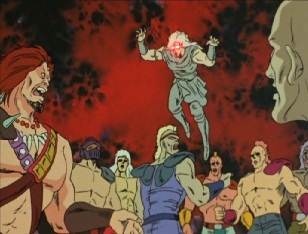 He then reminds them that they must complete their side of the bargain. 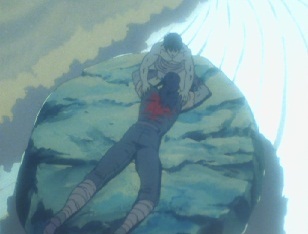 Toki wants the father to die for him and he uses his Hokuto Shinken to freeze him. 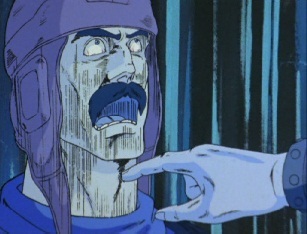 Toki is interested in the willpower of a man and how it can be used to resist death, so he then sticks a finger in his throat to hit a pressure point that will stop him from breathing. 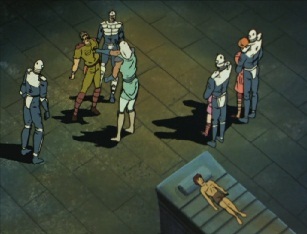 He keeps telling the father to use his will to resist, or he will die. 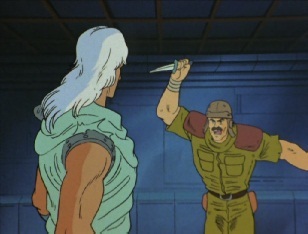 Toki then hears something behind him and grabs one of his guard's swords so he can throw it at a wall, but as it breaks away he sees that he has just killed Habu. 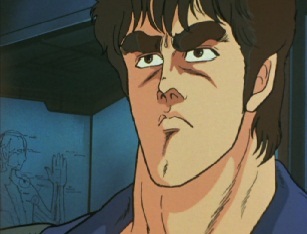 Kenshiro then steps into the room! 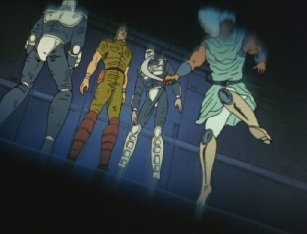 Elsewhere, Bat, Mamiya and Rei have found out about the village of miracles and this mysterious man with healing powers, so they decide to head there to see if that could be where Lin might have gone. 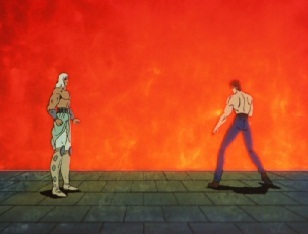 Meanwhile, Kenshiro and Toki see each other for the first time in a long while. 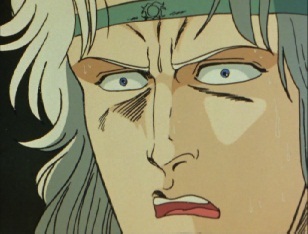 Ken hears Lin saying that Yuu is in pain and he heads over to him. 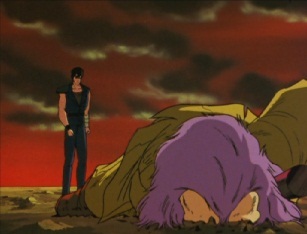 He hits another point on his body to actually cure him -what Toki had done would have killed him otherwise. 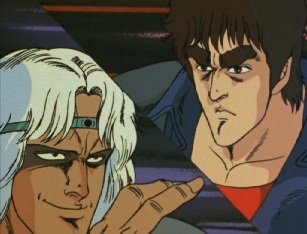 Kenshiro still can't believe that the man who wanted to turn Hokuto Shinken into a medical art has turned evil, but his former friend tells him that times have changed and this era requires violence more than medicine. 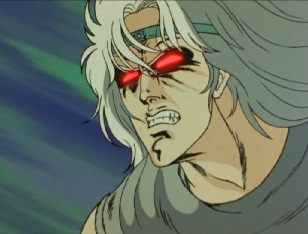 His words anger Ken who says that he isn't the Toki that he once knew and the two engage in battle. 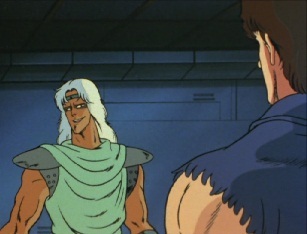 But Toki reminds Ken that he was the one who taught him various moves and techniques -he can predict every attack Kenshiro will make. 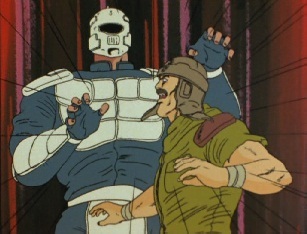 He blocks or avoids his punches, although one of his shoulder pads gets destroyed. 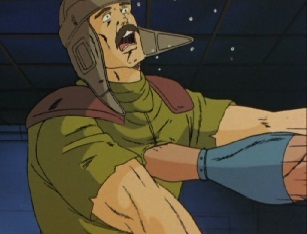 The two aim for each other's heads with single finger strikes, and both come close to making contact. 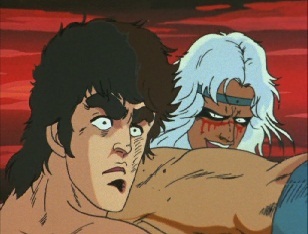 Kenshiro is now convinced that this really is Toki as no imposter would be able to counter his attacks like that. 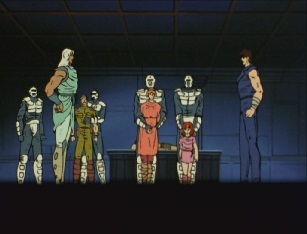 He wants to know why Toki has changed from good to evil, and his opponent decides to tell him. 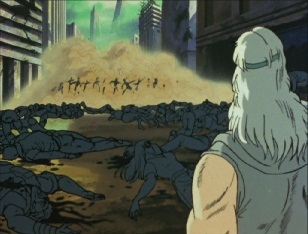 When Toki arrived in the village, a plague was wiping the population out. 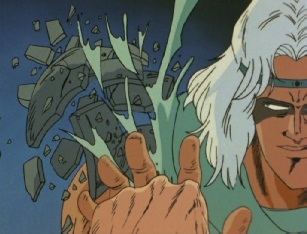 Using his Hokuto Shinken, he managed to revive the entire village and save almost everyone in it, and he was loved for it. 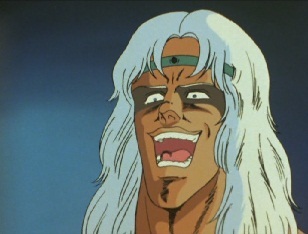 But then one day, a group of bandits raided the village and killed nearly everyone. 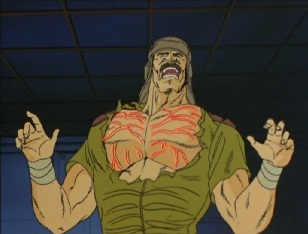 Toki was unable to handle the fact that everything he had worked so hard for had come crashing down in just an instant thanks to the bandits. 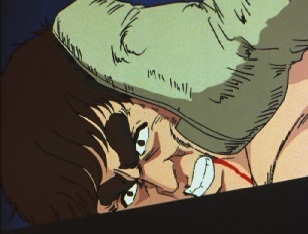 Losing his mind to rage, Toki leapt forward straight into the gang of bandits and proceeded to kill them all with his Hokuto Shinken, resulting in various messy deaths for the lot of them. 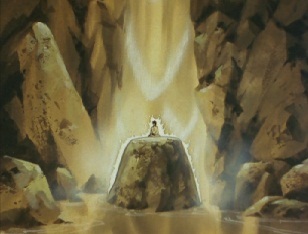 A few minutes later, there was nothing left alive as Toki regained his senses and realised what he had done. 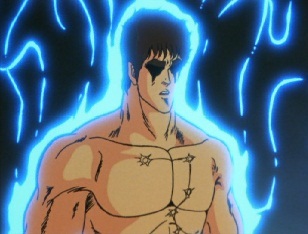 He also realised that the dream he had been following was pointless, and that it was time to return to the original path of Hokuto Shinken: using it as a killing art. 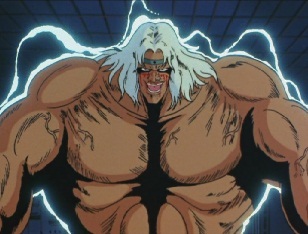 ...he has his pressure points that cause the man's heart to beat thousands of times faster as well as causing his blood vessels to explode. 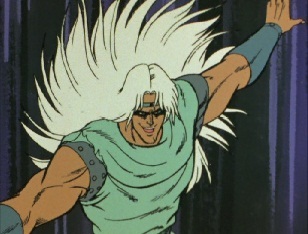 His heart then also explodes and he dies as Toki laughs, saying that there are many more power points on the human body that he wants to test out. 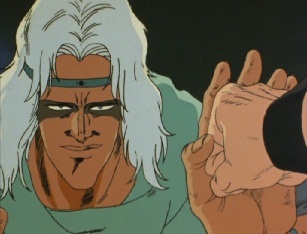 He needs to experiment on a strong body like Kenshiro's. 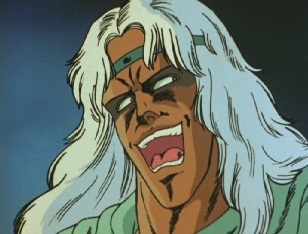 Ken has now decided that he cannot be the real Toki as he would never do anything so cruel. 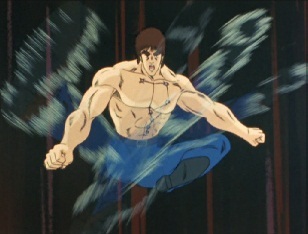 After ripping his shirt off he does a barrage of lightning fast flying kicks to his opponent. 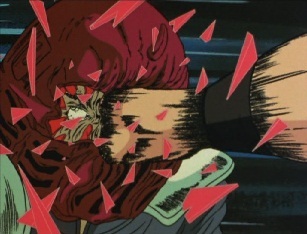 Toki manages to block most of these apart from one that cuts part of his face and makes it bleed. 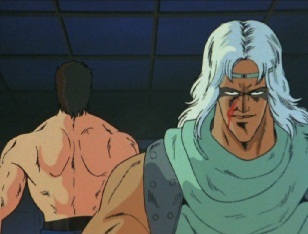 Toki walked up and asked if he found the training hard and Kenshiro said no -which Toki was glad for as the training would only get tougher. 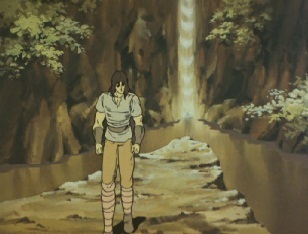 A large tree branch then fell off the waterfall above Ken and when Toki saw it he leapt to where Ken was to save him. 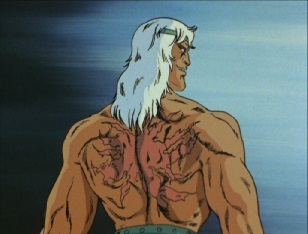 He took the hit -he survived of course, but it left a large scar on his back. 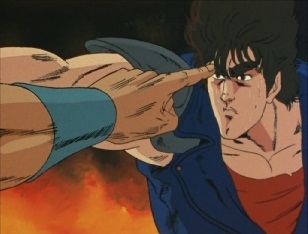 Toki says that it is absurd that Kenshiro was made into the successor of Hokuto Shinken, but Ken is thinking about his destiny: he has already killed one of his brothers, now it looks like he will have to kill another. 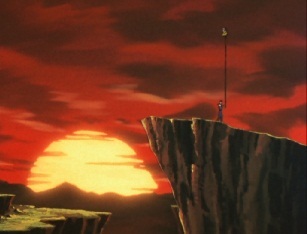 The two men stare at each other and prepare to enter a final confrontation. 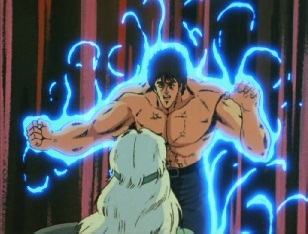 Kenshiro Vs. Toki! 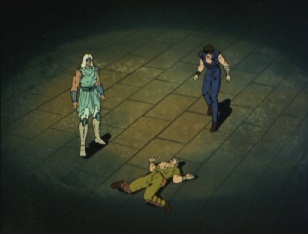 Will Ken be able to kill another one of his brothers? 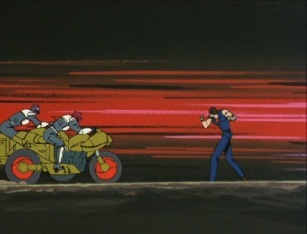 Find out next time in "There Is No Looking Back! 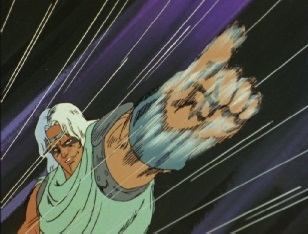 Only Hating Evil, And Striking Toki Down!!"